As many as 369 infrastructure projects of the total 1,420 under implementation are facing cost overruns, while another 366 are significantly delayed, according to a report. 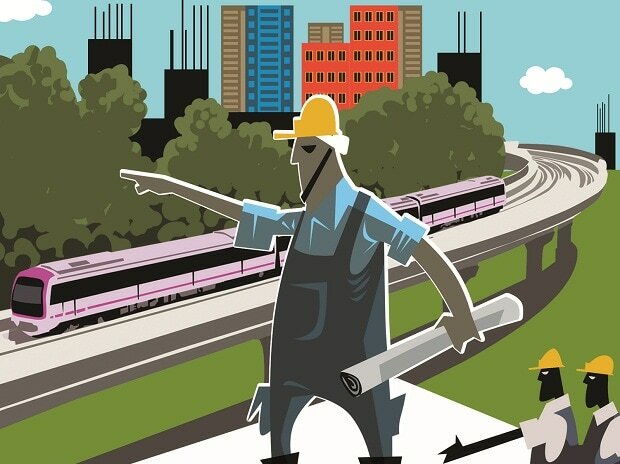 The report "Infrastructure & Real Estate: A fulcrum for Change & Economic Growth" by Property consultant ANAROCK and Association of Infrastructure Industry (India) said the government should accord high priority to the infra sector. It said India's vision to enter the $ 5 trillion club economy by 2025 depends on the development of infrastructure and real estate that contribute 29.5 per cent to the GDP. "The sheer impact of challenges faced by the infrastructure projects is visible from these statistics - of the total 1,420 projects under implementation, 369 projects are facing time overruns to the tune of Rs 3.38 trillion of cost overrun and an average time of 46 months for 366 delayed projects," the report said. To expedite infrastructure development along with maintaining the ecological and political balance, the government must give high importance to addressing the challenges, it said. "If negligence towards such factors is continued the sector which is expected to fuel the overall economic growth of the country and generate employment opportunities will lose its shine which will thereby hamper the economic growth of the country," it said. The report said infrastructure and real estate sector's contribution to India's GDP is the highest at 29.5 per cent compared to 22.6 per cent in the US and 17.6 per cent in China. It said higher contribution from infrastructure and real estate is fuelling India's economic growth and helping the nation to evolve as a dominant country.